Poignant and emotionally gripping, A Woman of Fortune reveals the many ways we deceive ourselves and how resilience of the heart is essential to authentic living. Drawing on her experiences as a legal investigator, author Kellie Coates Gilbert delivers emotionally gripping plots and authentic characters. Readers will love Claire’s unbending determination as she strives to keep her family from falling apart and learns to embrace the kind of fortune that lasts. Kellie Coates Gilbert writes a dynamic story in A Woman of Fortune of an high society in Texas where elected officials are bought at the price of families losing their retirements. Nothing is impossible for anyone who puts their faith in God's word and lives and loves the creator more than material things. Just like Claire found out when her faith was tested by her husband's betrayal. Claire was a strong woman, who stood strong and was rewarded. The world that the author built in this story was a good one. I look forward to reading the next book in this series. 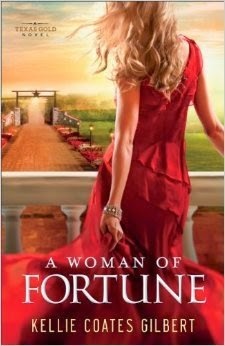 A Woman of Fortune is a great book.